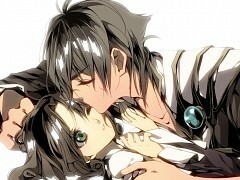 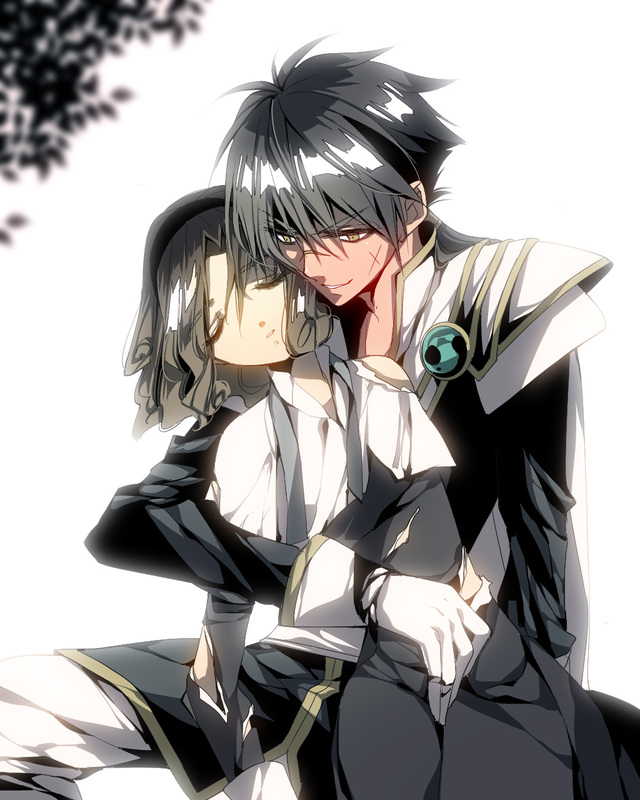 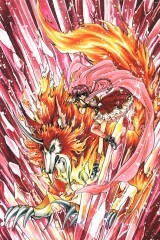 402 anime images in gallery. Tagged under CLAMP, Series, OVA and Anime Starting In 1994. 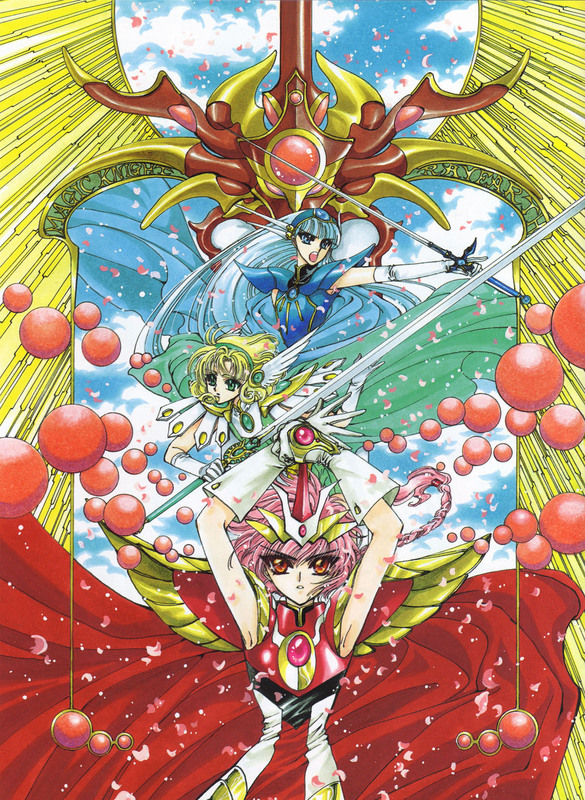 Magic Knight Rayearth (魔法騎士マジックナイトレイアース-Majikku Naito Reiāsu) was originally a Japanese fantasy and adventure manga series created by CLAMP, an all-female manga artist team consisting of Satsuki Igarashi, Ageha Ohkawa, Tsubaki Nekoi and Mokona. 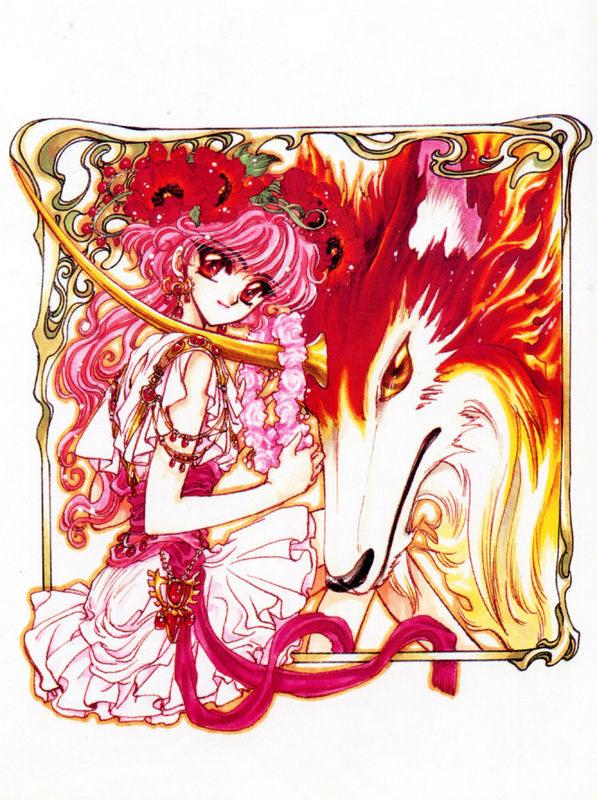 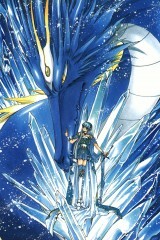 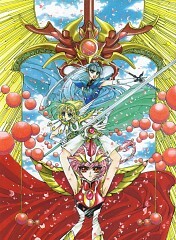 Magic Knight Rayearth was initially serialized from November of 1993 to February of 1995 and it had three volumes. 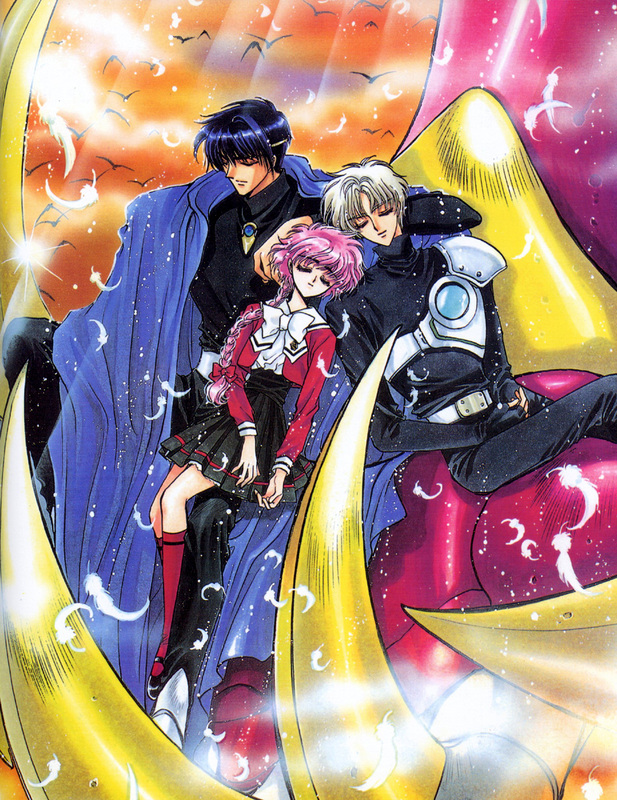 It was later adapted into an anime series in the year 1994 on October 17th, having 20 episodes with the last episode airing on March 13th, 1995 under the direction of Toshihiro Hirano and was produced by Mikihiro Iwata, Michihiko Suwa, and Shigeki Nakamura with the help of Tokyo Movie Shinsha animation studios. 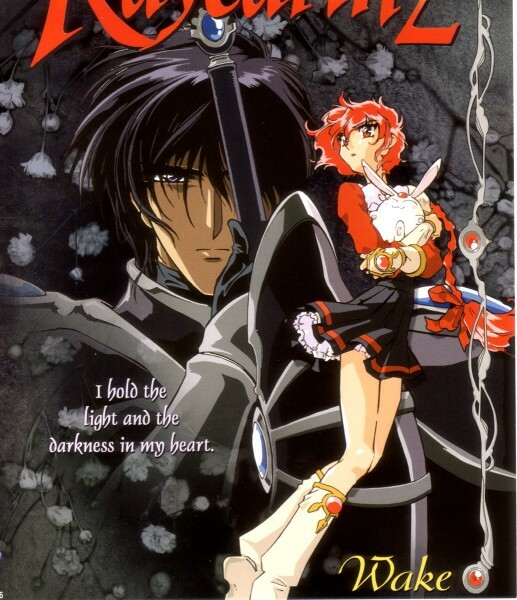 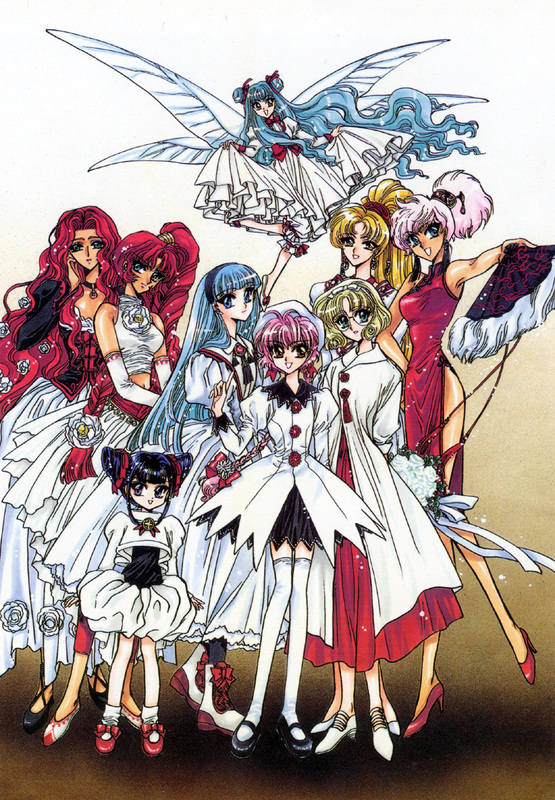 The second season of Magic Knight Rayearth was also directed by Toshihiro Hirano and produced by the same people and same animation studio and aired on April 10th, 1995 to November 27th, 1995 having a total of 29 episodes. 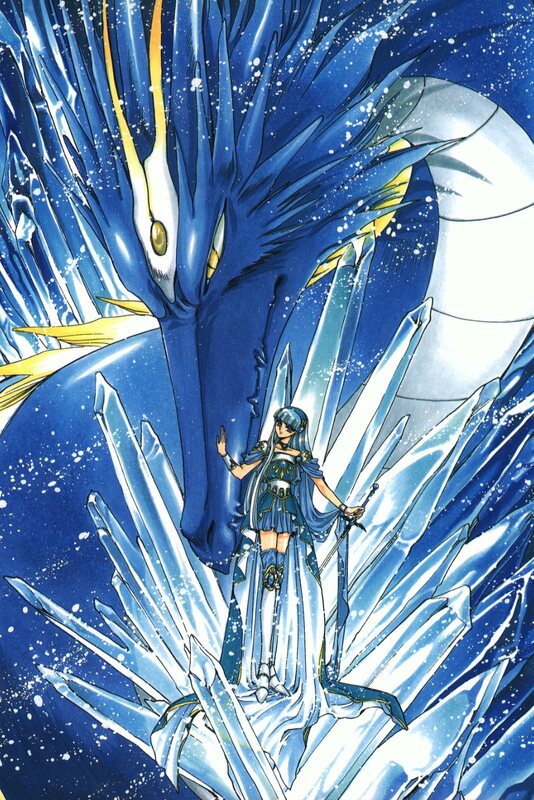 The story revolves around three eight-grade girls namely Shidou Hikaru (獅堂 光 Shidō Hikaru), a tomboyish and headstrong young girl, the temperamental and no-nonsense Ryuuzaki Umi (龍咲 海 Ryūzaki Umi), and the intelligent and reserved Hououji Fuu (鳳凰寺 風 Hōōji Fū). 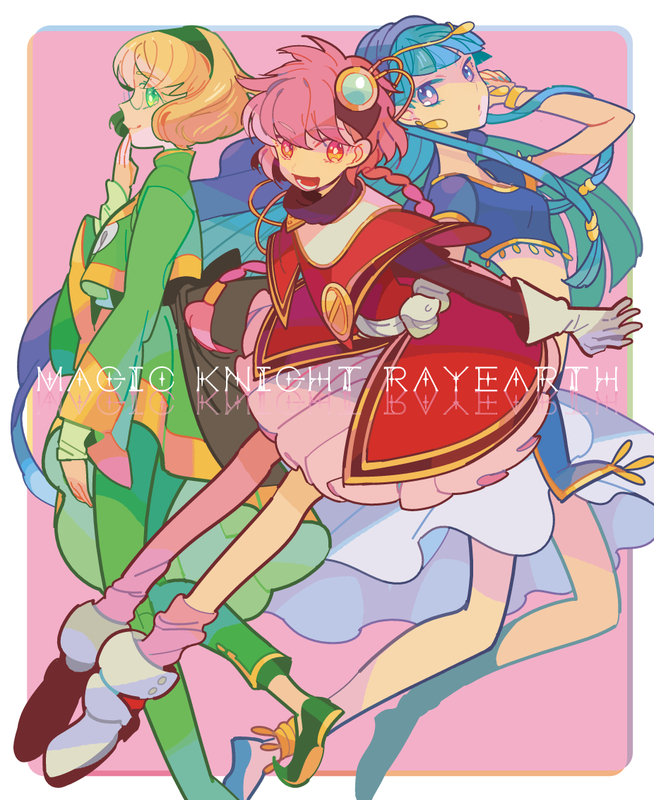 And while on a field trip to Tokyo Tower with their respective schools, the three girls suddenly found themselves transported to another world called Cephiro. 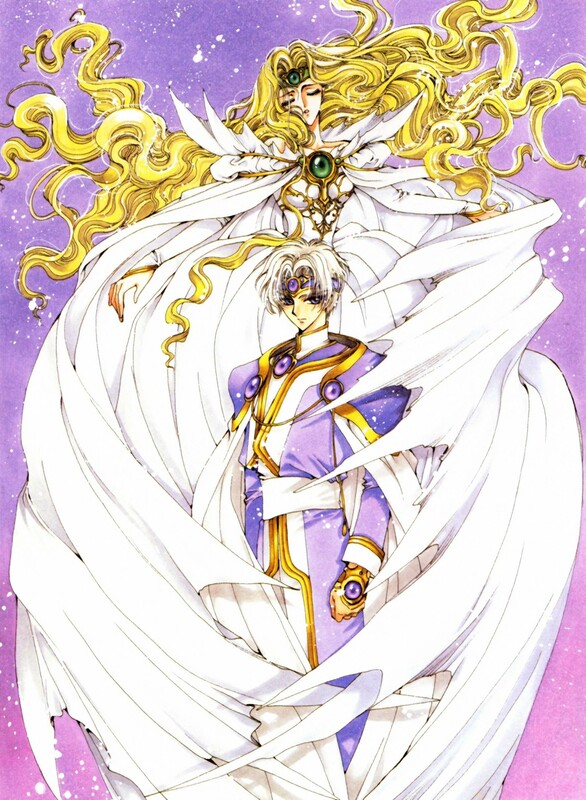 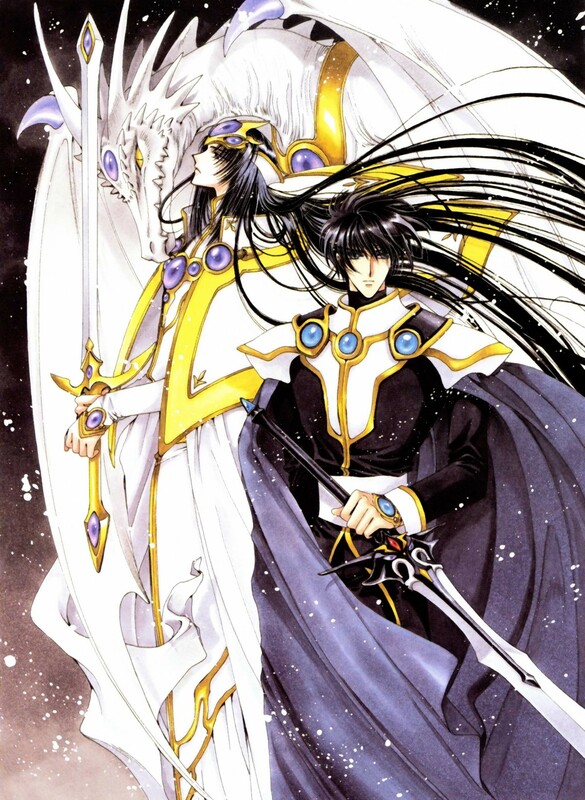 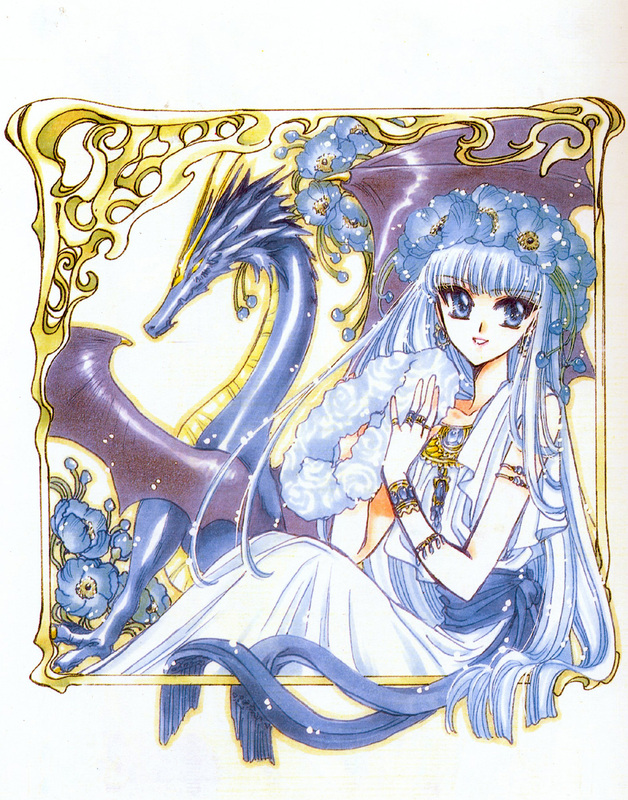 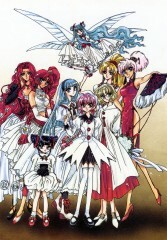 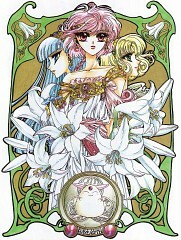 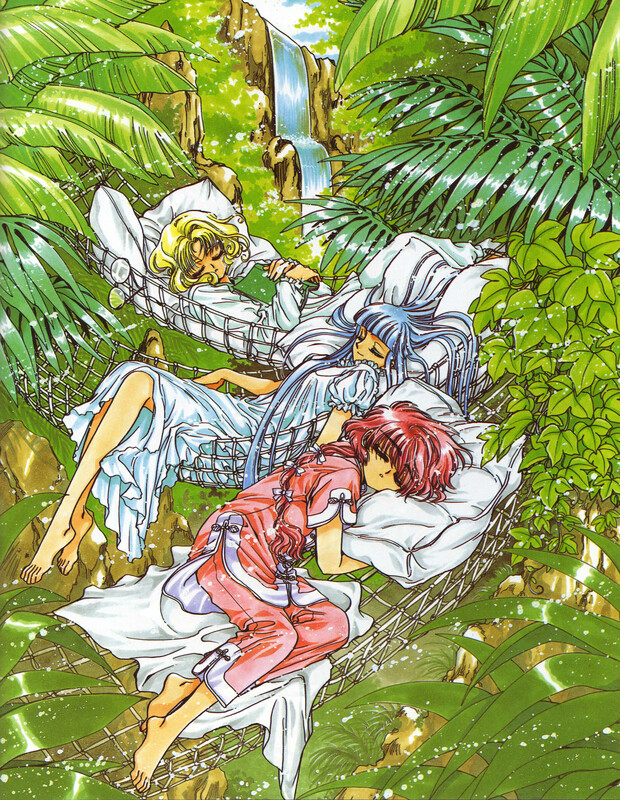 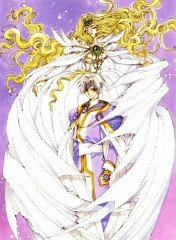 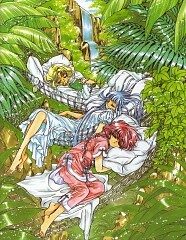 In Magic Knight Rayearth, the girls learned that Cephiro is influenced by the people’s will and that a pillar is the one who maintains the world through prayer however, the current pillar, Princess Emeraude was abducted by the high priest Zagato and the only way for the girls to be able to return to their homeworld is to rescue the princess. 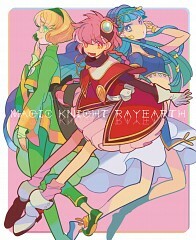 Together, they travel the world of Cephiro in order to awaken the three Rune-Gods while being guided by the enigmatic and rabbit-like Mokona Modoki. 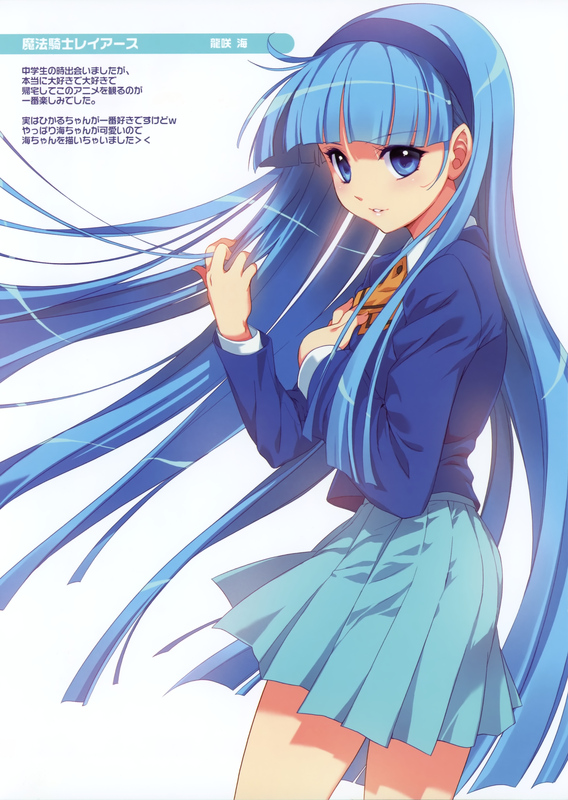 Shidou Hikaru (獅堂 光 Shidō Hikaru)- is an eight-grader who is often teased for being boyish. Though she is often childish, she is very determined and extremely loyal to her friends. 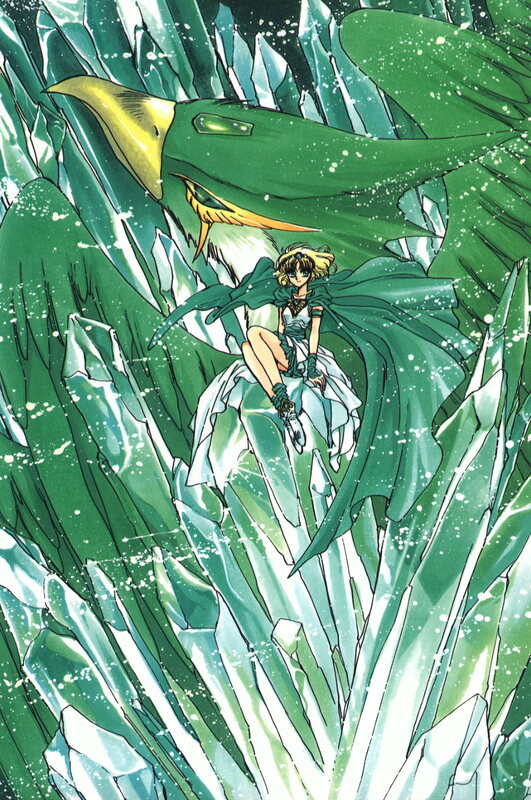 Because of her being childish on occasion, there are times that she can be dense with what some other people are insinuating. 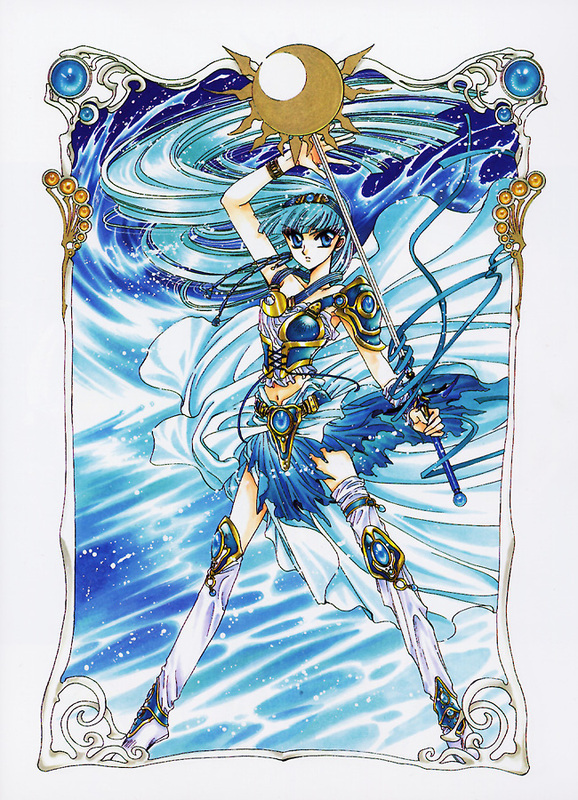 Her birthday is on August 8th and is a Leo. Ryuuzaki Umi (龍咲 海 Ryūzaki Umi)- She is one of the three main female protagonist of the story. 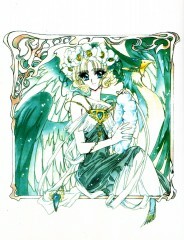 She is elegant and temperamental. 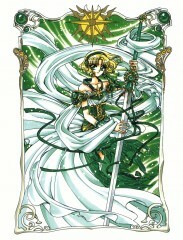 She initially appears to be uncaring and reluctant to be one of the Knights summoned to Cephiro. 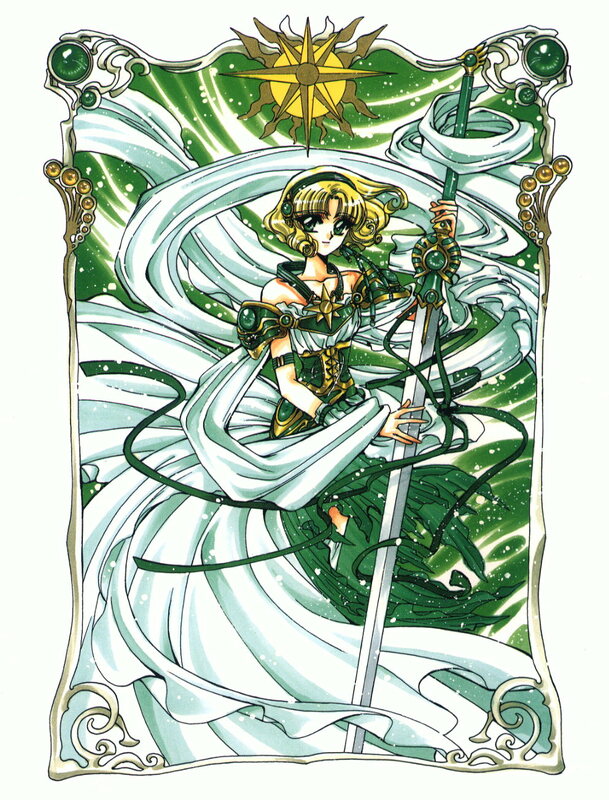 She is a fencing champion and is often pressured by her parents to do well in her academics and other subjects since she is an only child. 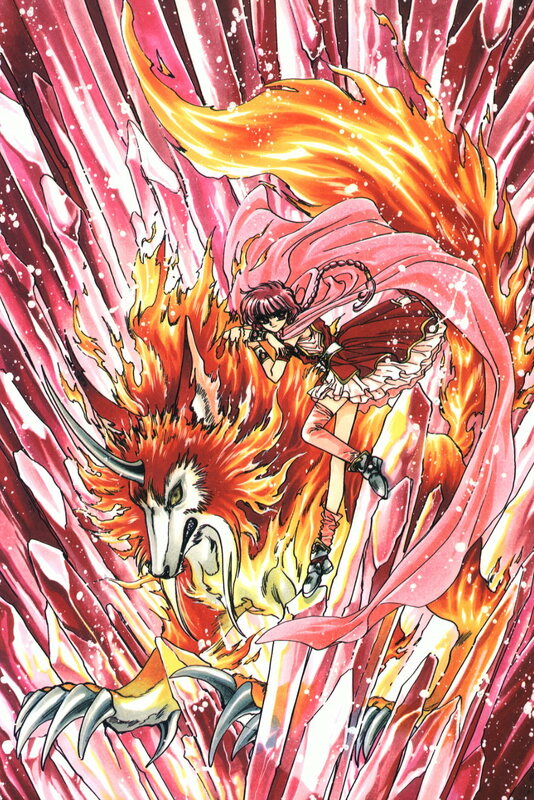 She also becomes the comic relief in the series due to her going ballistic especially when it comes to Mokona. 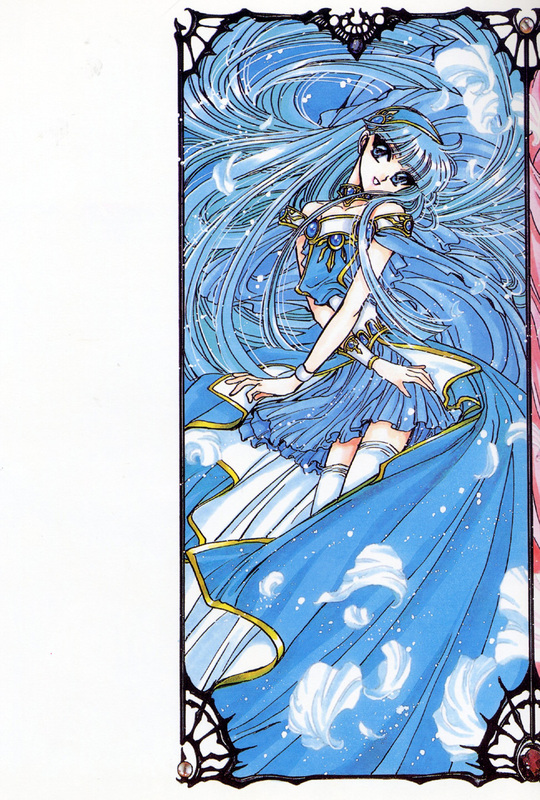 Her birthday is on March 3rd and she is a Pisces. 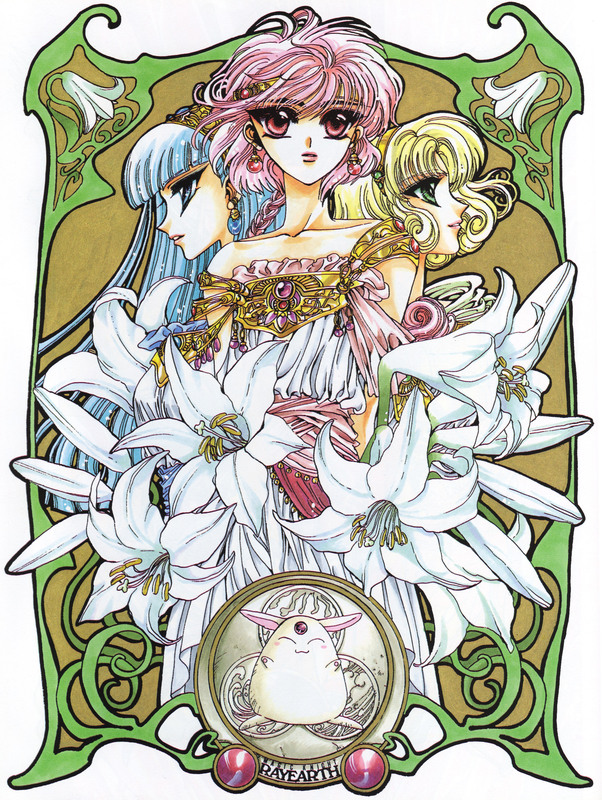 Hououji Fuu (鳳凰寺 風 Hōōji Fū,/Anemone)- She is the most quiet and reserved of the three and is mild-mannered and often approaches things in a logical and rational manner. She specializes in archery and academically proficient. She tends to state the obvious and can be humorously blunt. 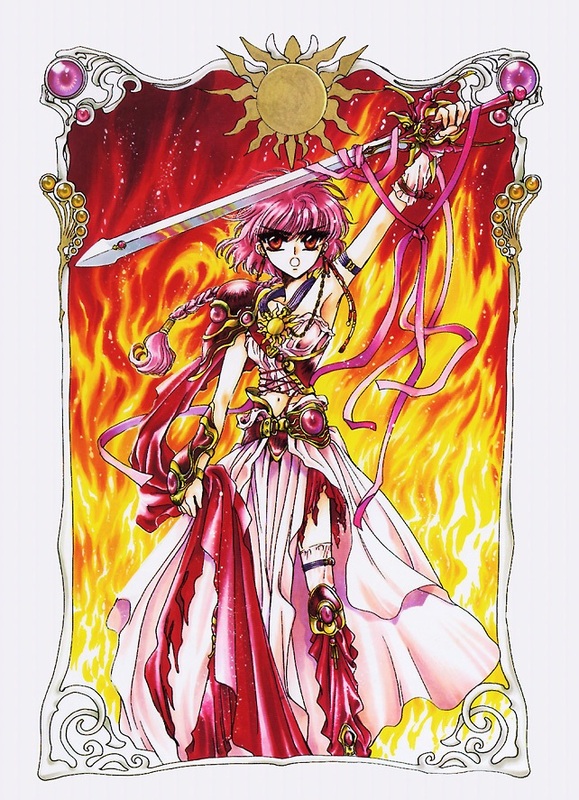 Though there are moments when she can be doubtful of herself but she eventually makes it through and is able to strengthen her resolve in the end. 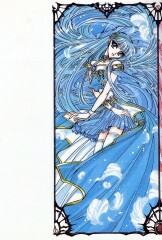 Her birthday is on December 12th and is a Sagitarrius. 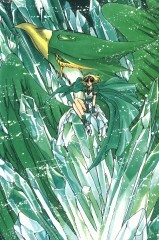 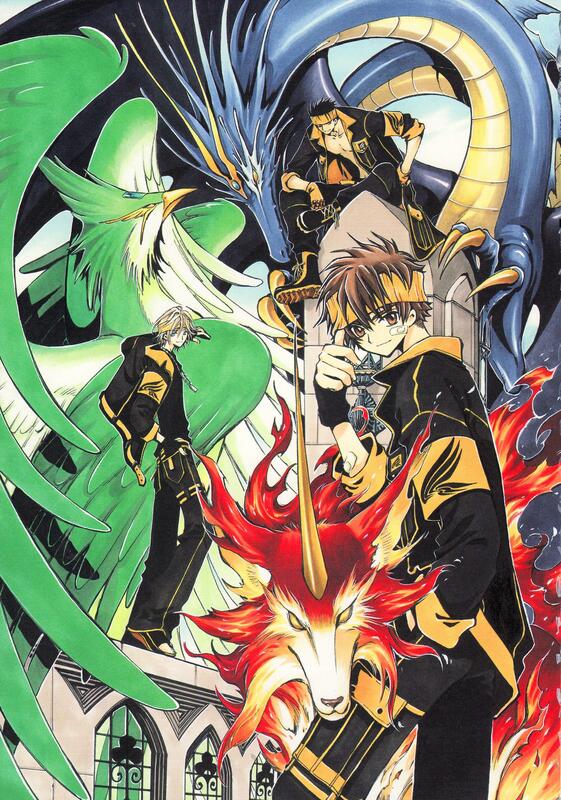 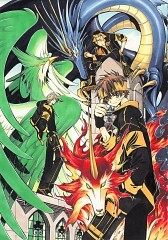 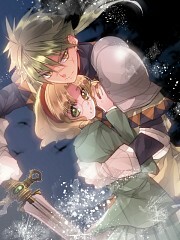 The anime has a similar feel to Record of Lodoss Wars and Slayers due to their role-playing game or RPG-like setting.